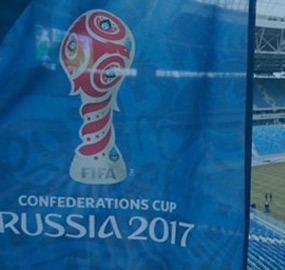 Volga equipment, produced by T8, provided the video broadcasting of FIFA Confederation Cup matches from St.Petersburg. For broadcasting the high speed Dense Wavelength Division Multiplexing systems Volga were placed in the stadium St.Petersburg Arena. Maximum capacity of created channel was 100 Gbit/s. The system was used on the Russian region network segment for transmitting video signal and data to TV studios located in London and Frankfurt. High speed equipment Volga was used for broadcasting of sports events not for the first time. The system was used for the first time in the project for the construction of telecommunication centers for the winter Olympics Games 2014 in Sochi. At that time the high speed DWDM network united all towns and villages of the Krasnodar region was organized. Total length of network lines was more the 700 km with channel speed from 2,5 Gbit/s up to 100 Gbit/s. Telecommunication equipment are designed and produced in Russia.